There are a million myths about training, nutrition, hydration and it can be really difficult to sort the legit advice from the hype and the chaff. Unless you take the time to diligently record everything that you do and learn from it, we tend to make the same mistakes over and over again. 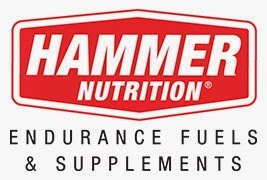 There are very few shortcuts in life but Hammer Nutrition has put together some very well accepted and proven tips for fueling during endurance activities that I think are really useful. You can add the booklet to your order or you can download the PDF for free. Nice. And useful! In the interest of full disclosure, I am a Hammer Nutrition Athlete Ambassador but I sought them out because I discovered that the techniques in this booklet worked for me and because I found their products to be superior.